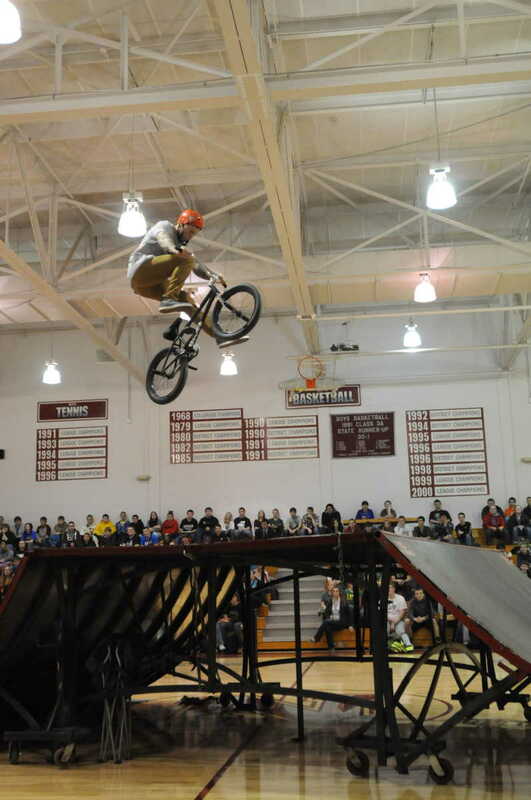 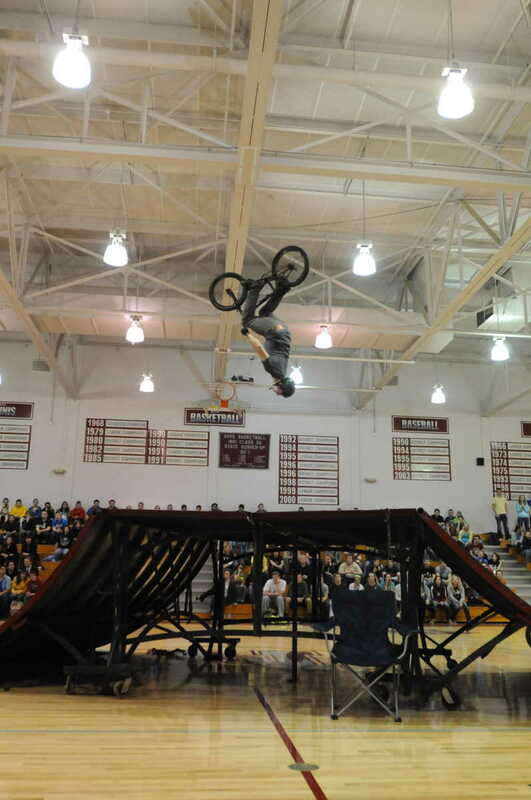 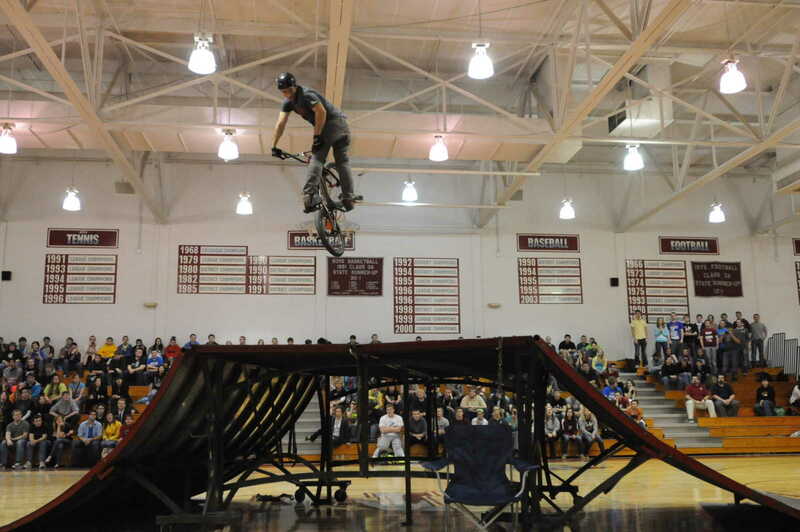 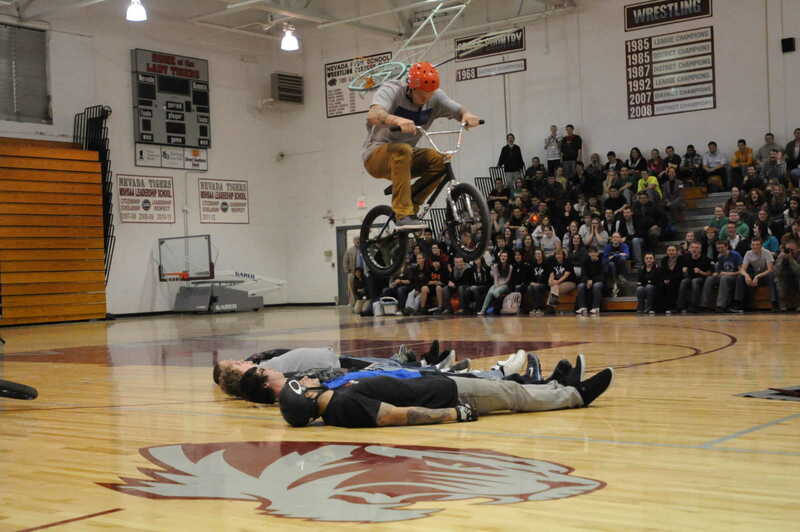 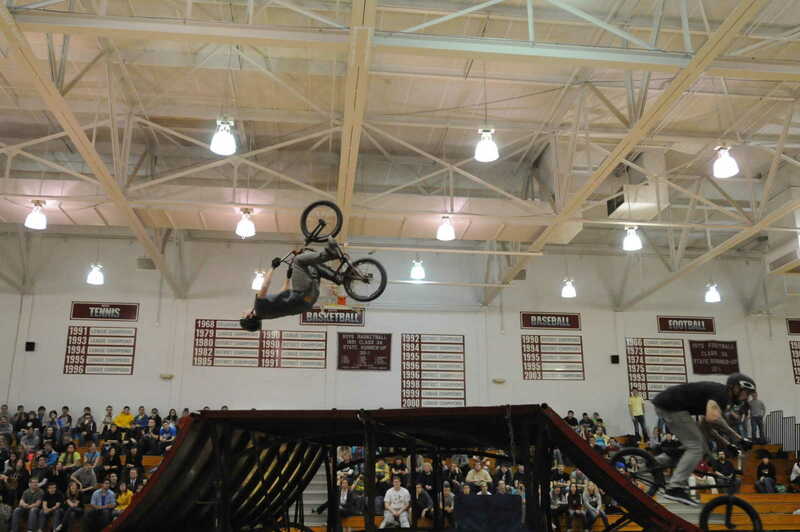 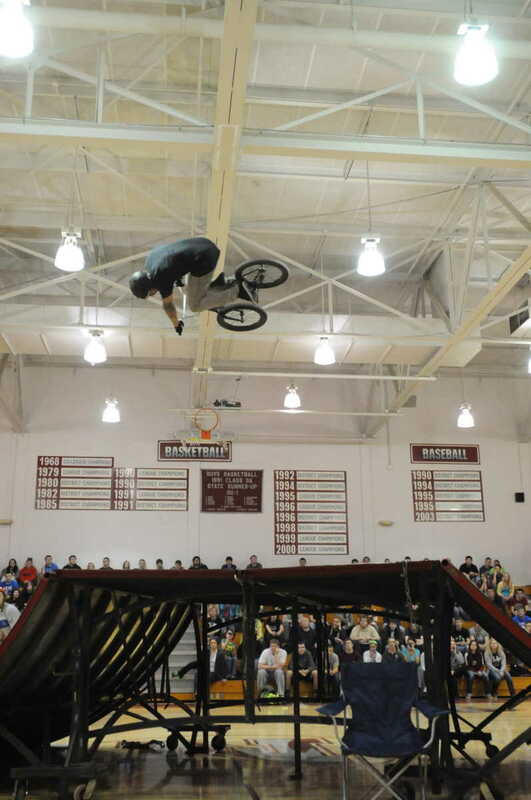 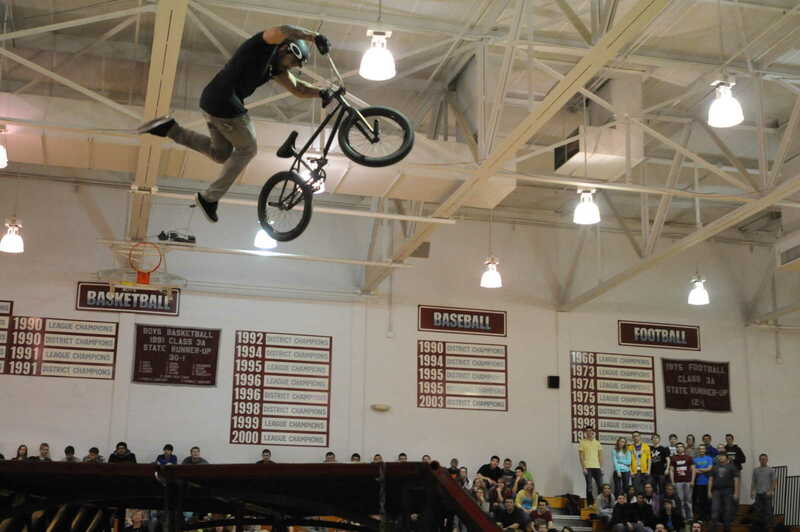 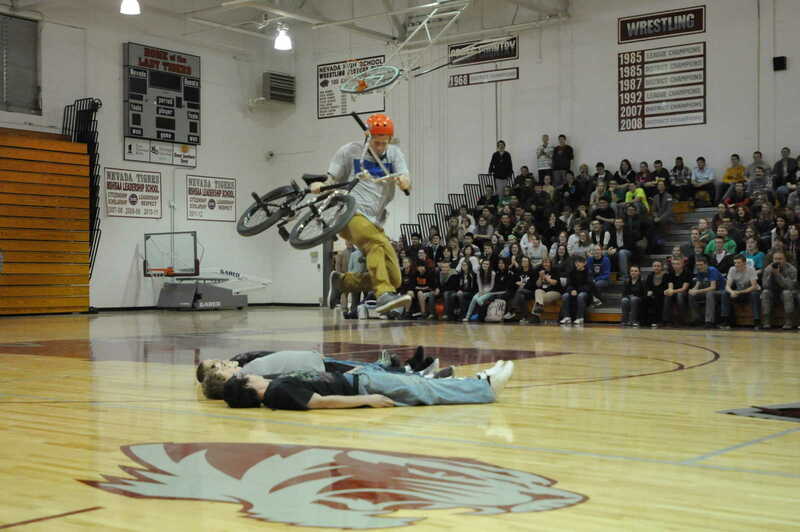 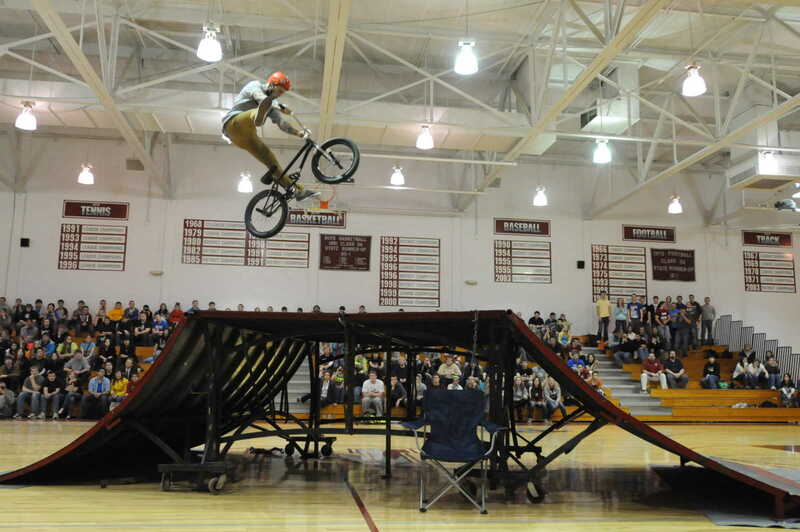 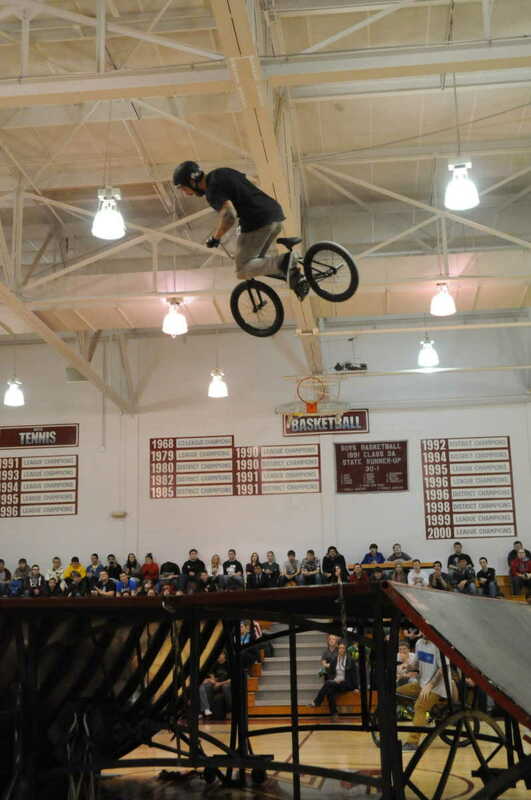 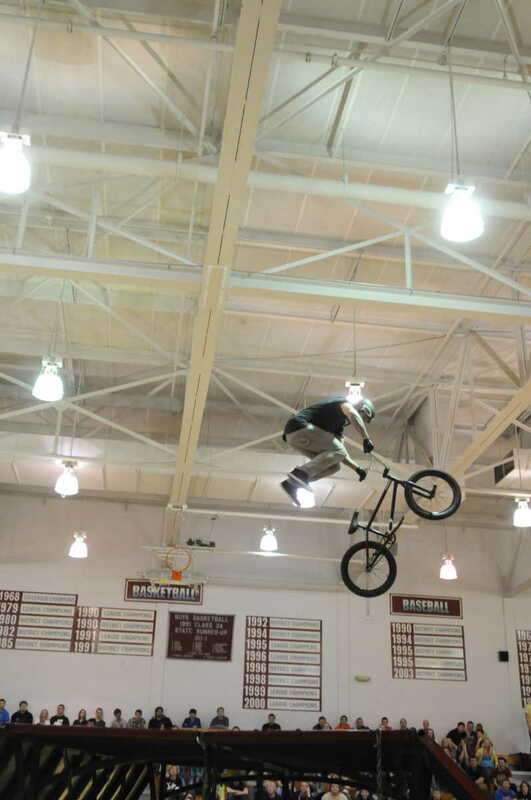 Nevada High School students and faculty alike enjoyed the Rise Above Entertainment's BMX A Game team's high energy, entertaining program on Wednesday, March 6, 2013. 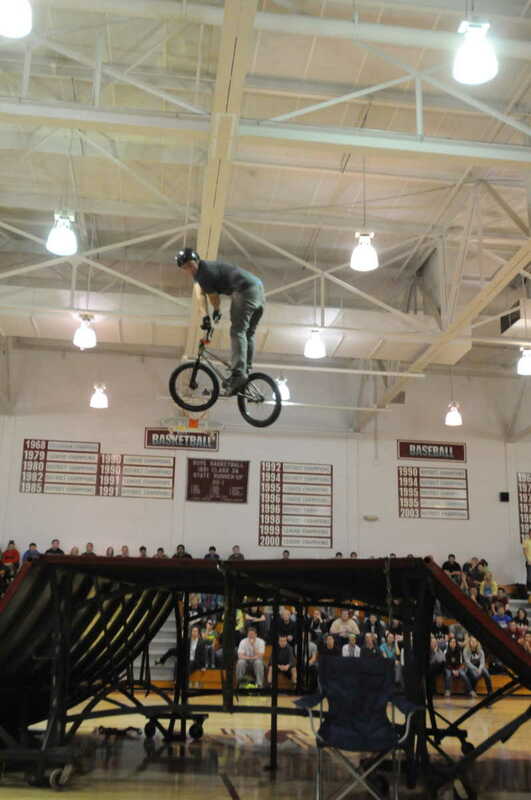 During the program, three professional BMX cyclists performed jumps, spins, flips and other gravity defying feats on bicycles that seemed too small for grown men. 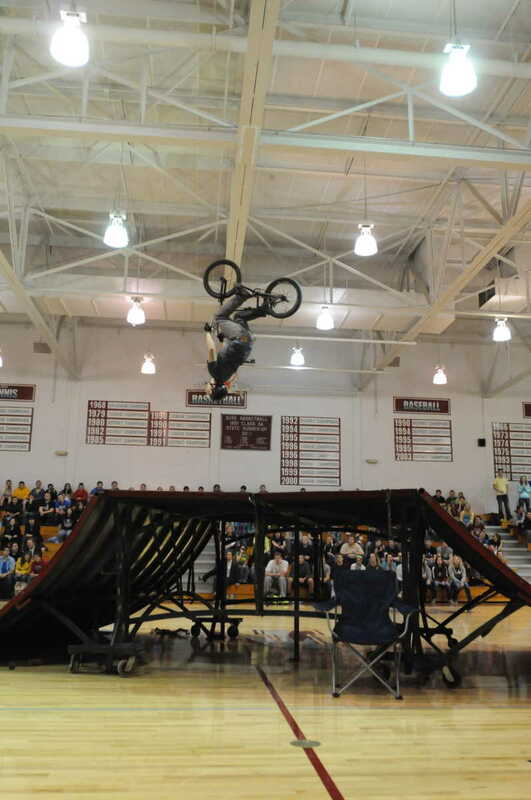 Seth Klinger of the BMX A Game Team executes a full 360 degree turn while jumping over teacher Carissa Fink during an exhibition at the Nevada, Mo. 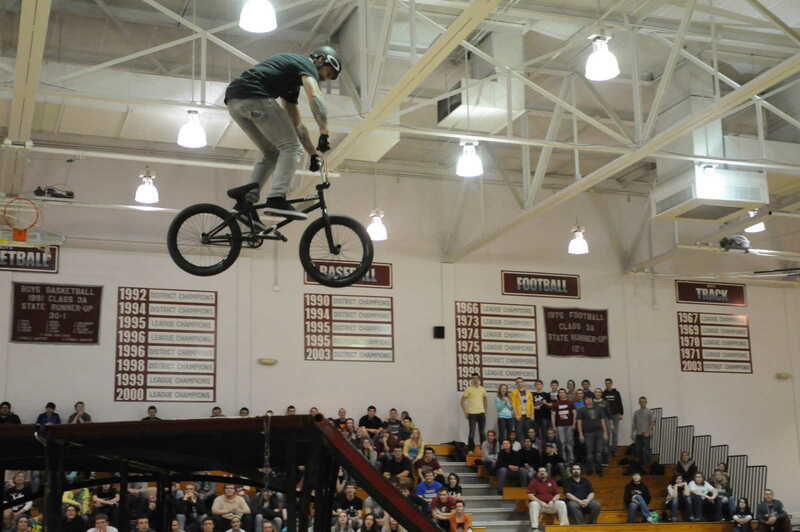 High School on Wednesday, March 6, 2013.